Hey guys. I’ve decided that after three years of DT work, it's time for me to give it up and just go back to crafting for fun when (and if) I have time. This may seem sudden, but it’s not…it’s something I’ve been thinking about and going back and forth on for over six months now. While I still like coloring images and making cards, it’s not as much of a priority as it used to be. My heart just isn’t in it like it once was. Other things need my attention and I want to focus on those things, get away from being on the computer so much, and not have so many things on my "to-do list" all the time. I consider myself very lucky to have had to chance to be a part of Penny Black, Our Craft Lounge and the Sweet Stop Sketch team. They're such awesome teams with such nice people….I think it's the reason I struggled so long in making this decision to step away. I can't thank them enough for their generosity and allowing me to be a part of their teams. Hi all, it's Sweet Stop Sketch time! 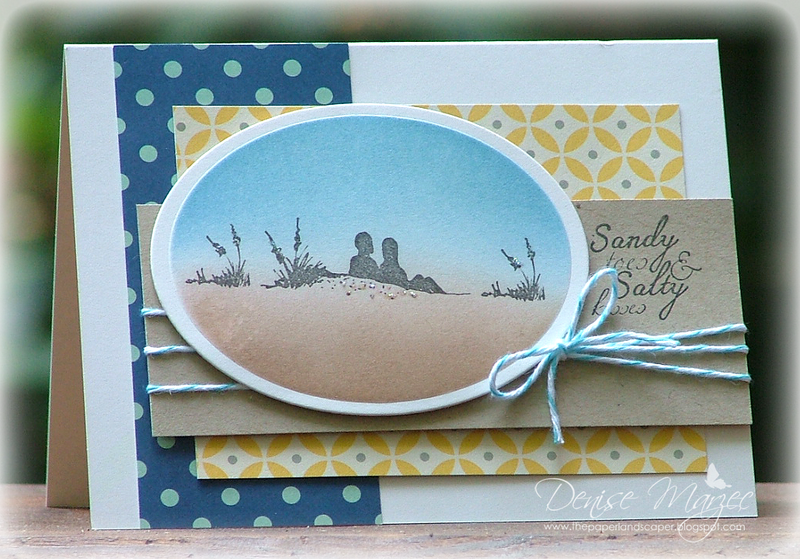 Here's my card using OCL's Sandy Sunsets. The oval panel was sponged with Ballet Blue and Close to Cocoa inks, Stickles were added to the sand, and the whole thing was popped up on foam tape. 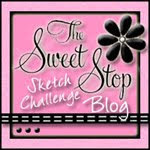 It's our Sketch with a Spin Week over on the Sweet Stop Blog. 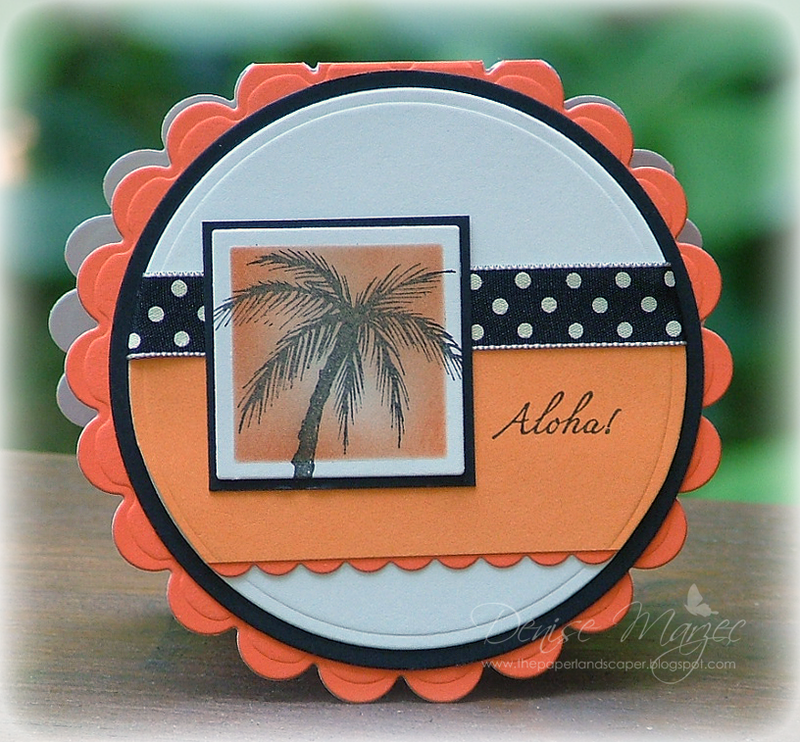 This month's "spin" is to make a circle card. Hop on over to the blog to check out the sketch...it's a cool one! For my card, I used OCL's Sandy Sunsets. The palm tree was stamped in onyx black, I kept the die in place and sponged Tangerine Tango all around the square, and then matted it against the black CS. 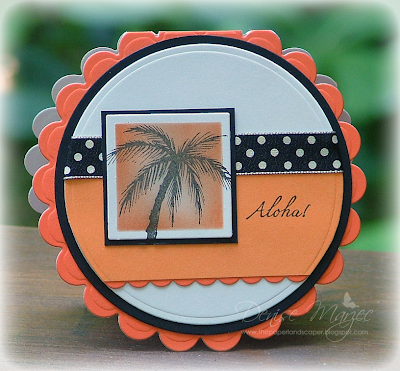 Pretty simple card...and I made it SUPER bright orange using some Penny Black Mix & Match CS. 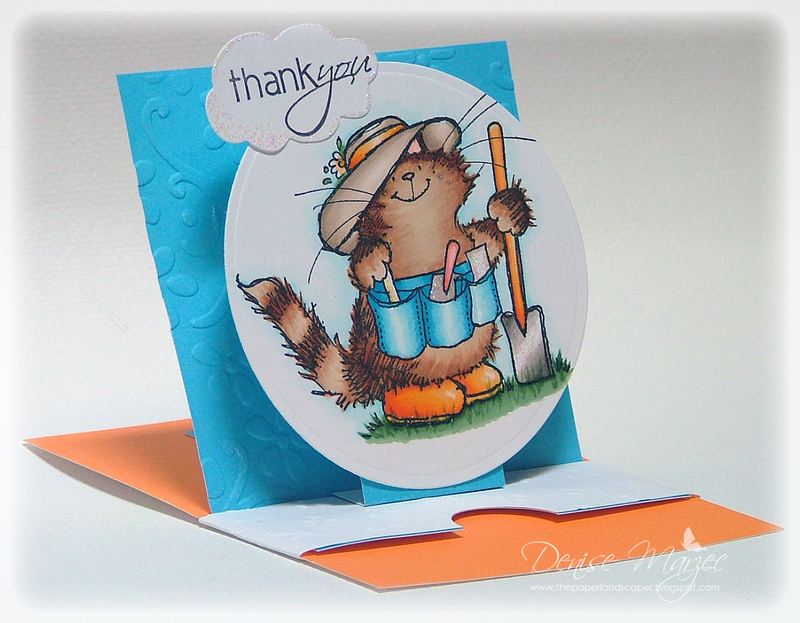 Stamper's Dream & Friends Blog Hop! 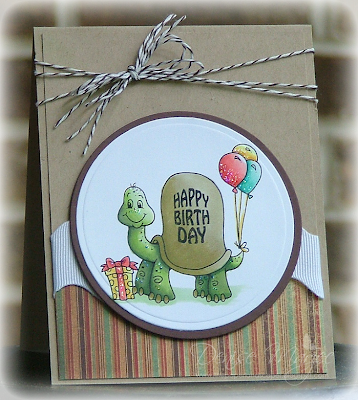 Welcome to the Stamper’s Dream and Friends Blog Hop! I had so much fun hopping along in last month's hop that I jumped at the chance to join the fun again. For my card today, I got to play with this adorable Stampavie image, called Josephine cuddling her pet cat Kiki. Sweet image, huh? 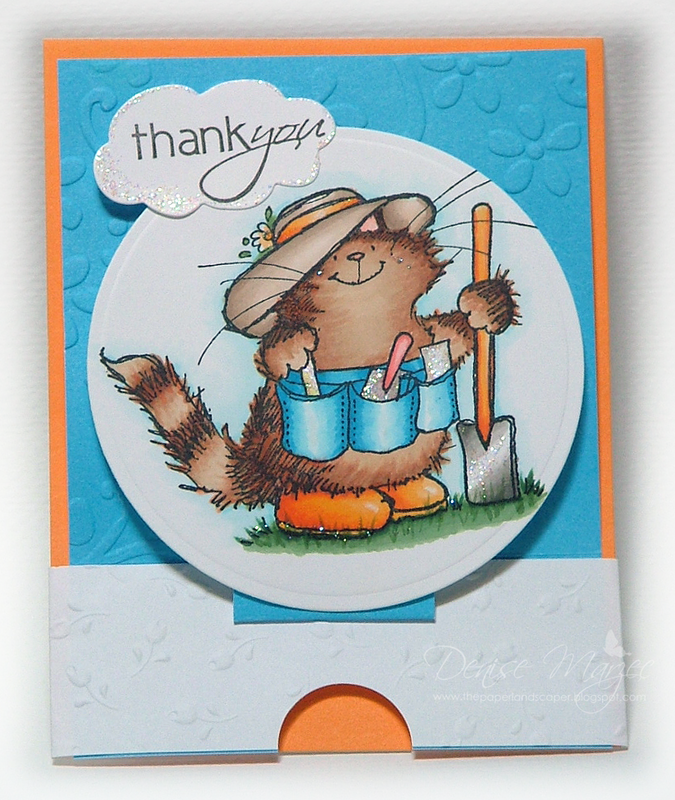 The sentiment is from my MFT Essential Sentiments clear set. I added Stardust Stickles to Josephine's hat band and belt. Denise Marzec <--- that's me! Hi all! I'm combining today's Sweet Stop Sketch #112 with OCL's Challenge #69, which is a color challenge to use blue, yellow and a neutral. 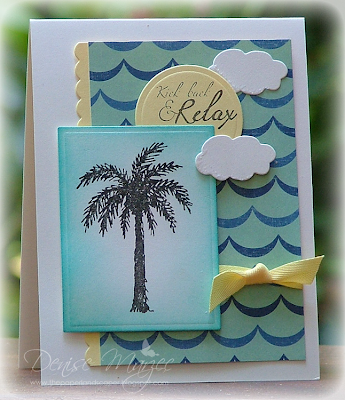 The main image with the palm tree, yellow circle sentiment, and bottom cloud are all up on foam tape. The clouds have little touches of Stickles. The palm tree was stamped in black craft ink and heat embossed with clear EP, and the edges of that panel are sponged with Cool Caribbean ink. I'm back with one last "fun fold" project for this week's reader challenge on the Penny Black Blog. This time I went with a simple circle card. The Purple scallop card base was made with Penny Black Purple Mountain Mix & Match CS and Stickles were added on random parts of the Mimi image. Thanks so much for stopping by! Hi all, for my second "fun fold project" on the Penny Black Blog, I chose one of my favorite things to make....a corner bookmark. I used a combination of Penny Black stamps, stickers, and mix & match papers. Direct product links are in the supply list at the end of my most. 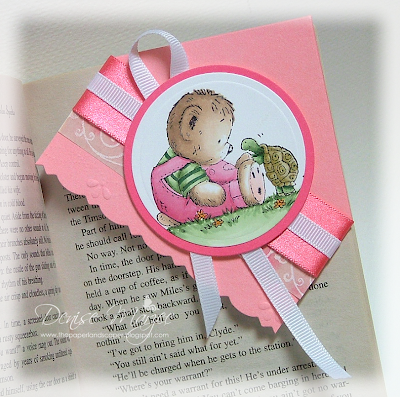 If you'd like to see a tutorial on how to make these corner bookmarks, click HERE. 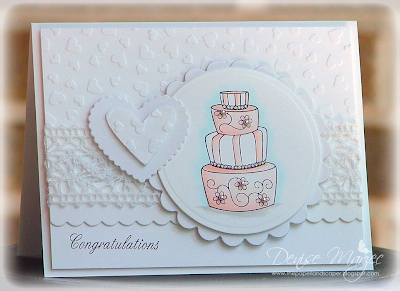 Don't forget to hop on over to the Penny Black blog and get details on how you can win some free Penny Black stamps, just for playing along in our weekly challenges. I'll be back tomorrow with one more "fun fold" project. 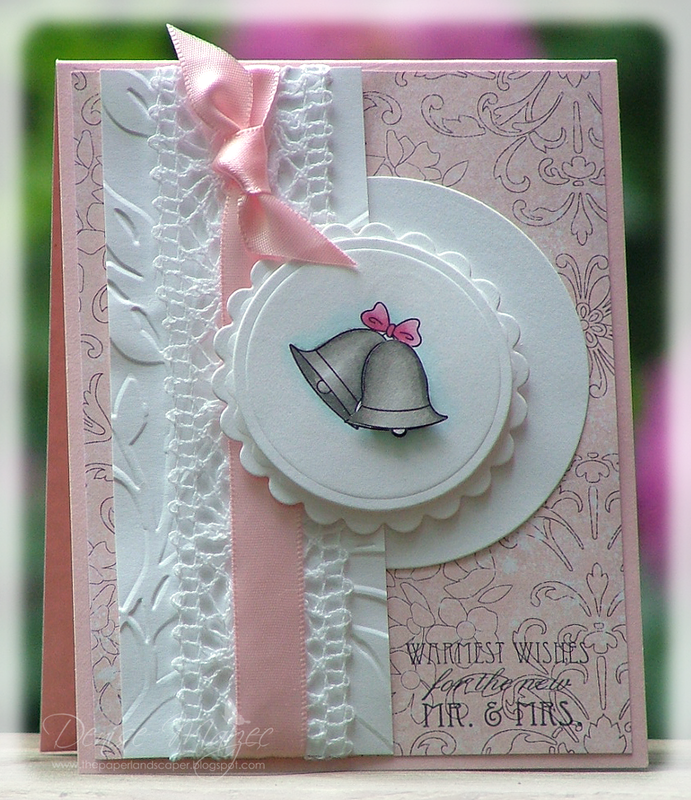 Hi all, it's my turn to host this week's reader challenge on the Penny Black Blog and I've decided to work with "fun folds." For today's project, I made a sliding pop-up card using THIS tutorial from Splitcoast. The girls on the OCL Blog posted a CASE Challenge for this week. I chose to CASE this beautiful wedding card by Lori Tecler using Bird and Groom again. 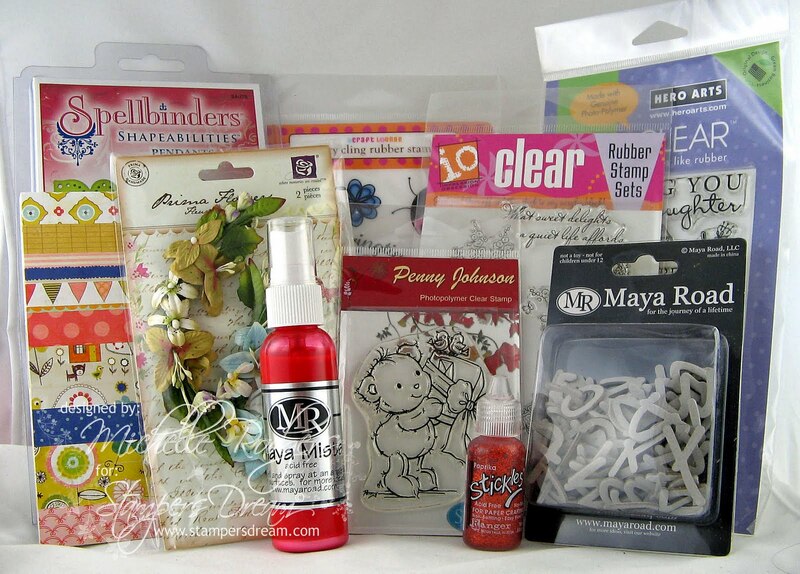 Hi all, it's Sweet Stop Sketch time and I'm using my OCL Bird & Groom set. For white on white cards like this, I try to use a lot of foam tape on the layers so they stand apart more. Both hearts, the circle with the cake, scalloped circle, and large heart/congratulations panel are all up on separate layers of foam tape. 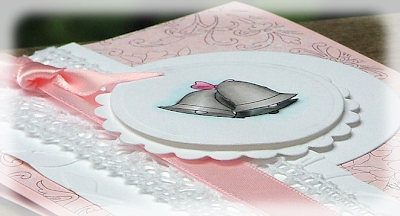 Stickles were added to the "pearls" on the cake image and actual silver pearls were added to the flower centers. Hi all! 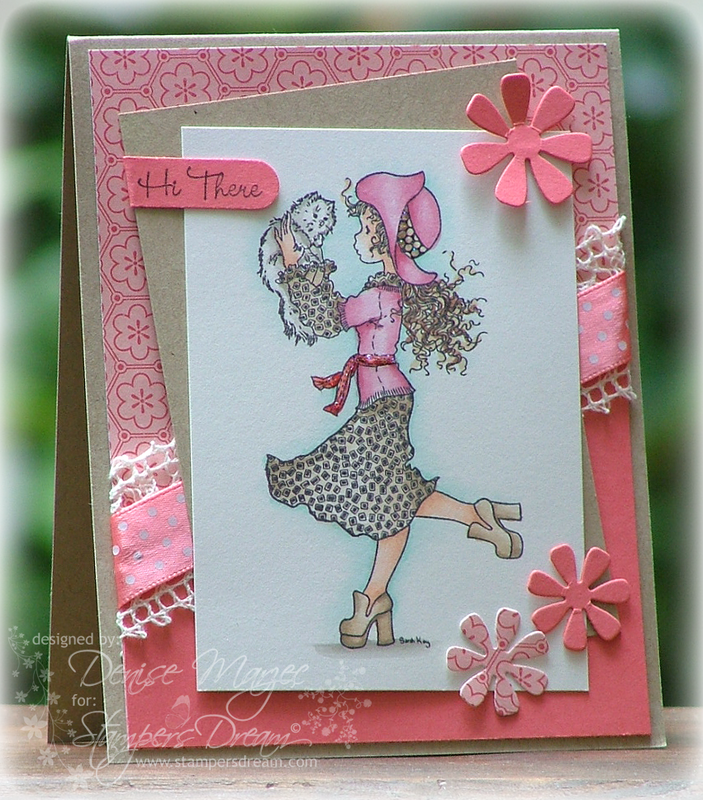 It's sneak peek / new release time at OCL and I'm hopping along with a bunch of the girls on the DT today. If you've come here from Deb Felts' blog, then you're right on track with the hop. To start at the beginning and catch peeks of ALL the new sets, head over to the OCL Blog. Isn't that turtle cuuuuute?! Hehe! The matted brown circle is up on foam tape and I added Stickles to the balloons, gift, and his "freckles." Okay, NEXT up in today's sneak peek hop is Heather McNally!